•Powerful 700W motor with 2.3J imapct energy. 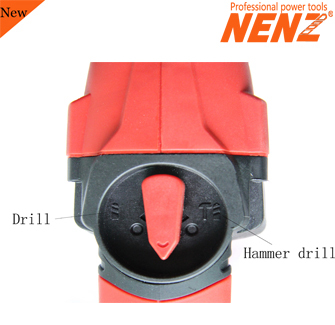 •20mm (3/4')solid bits and 30mm(1-1/8') core bits drilling capacity in concrete. •With removable chuck can drill the wood and steel plate as well(option). 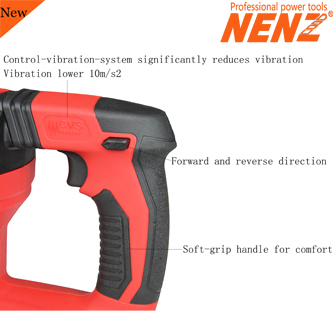 •CVS control-vibration system significantly reduces vibration for user comfort and safety, vibration lower 8m/s2. •Safety clutch system for user protection. 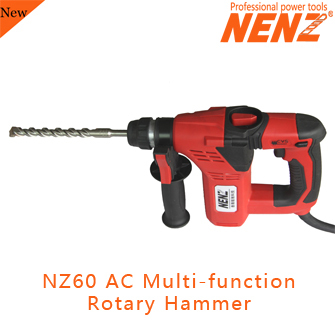 •Two functions, including hammer drill and drill. •Variable-speed switch for speed control. 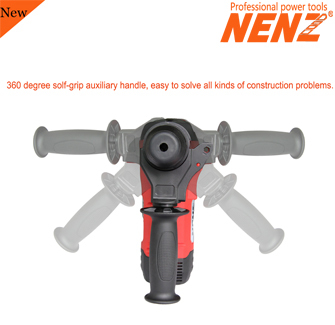 •Soft-grip handle and side handle for comfort. •Compact design for the weight( 1.8kg or 4Ib) & size(11'length), easy to use.